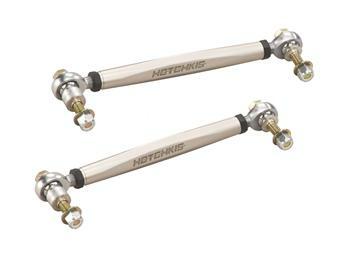 Dramatically improve the cornering performance, traction, and steering response of your vehicle with Hotchkis Steering Rods. 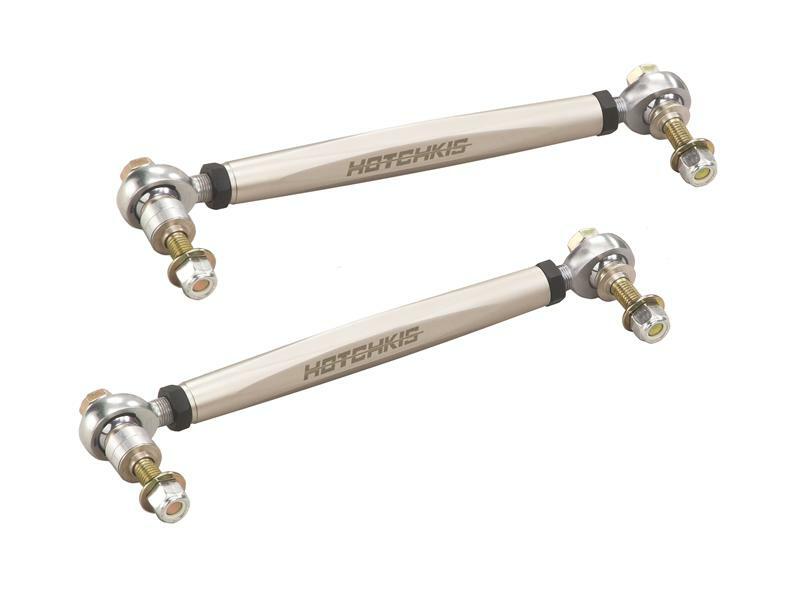 Designed to be used in conjunction with Hotchkis Sport suspension A-Arms to reduce bump steer these Steering Rods will improve responsiveness and driver control. The adjustable design features high articulation rod ends and lightweight aluminum adjustable dleeves. The part is finished off in a lustrous, “nickel look” powder coated finish, blending form and function.